Summer keeps on chugging along and so does our Summer Car Care Series. In addition to the wear and tear from the summer heat, the miles on your vehicle’s odometer can really pile up during the summer. It is vital to keep your vehicle oiled and lubricated with quality oil to keep your engine running strong. Next up on our Summer Car Care Series list: oil and oil filter. Oil is the lifeblood of your vehicle. It keeps your engine cool, lubricated, and running smoothly. Your engine is put under a lot more stress in the summer months, due to high temperatures and the increase in summer driving. It is imperative that you check your oil for clarity and to see if it is filled to the proper level. Check the oil dipstick. If the oil is dark brown, black, or is full of sediment, then make sure to change your oil immediately. If your oil level is below the full level on the dipstick, make sure to add more oil. But, remember to add the proper grade oil for your engine. Check your owner’s manual for more information. Jiffy Lube of Indiana is also here to help. 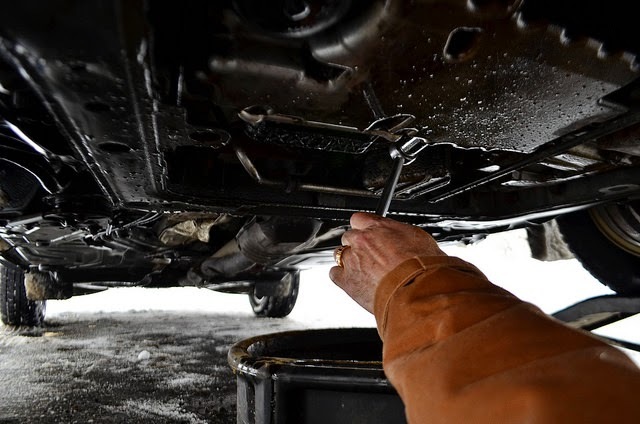 As part of our Jiffy Lube Signature Service Oil Change, we will set your vehicle up with an oil change schedule that is right for your vehicle. We also offer free top offs of your oil in between your regularly scheduled oil changes.